All I ask of anda rep. . Wallpaper and background images in the ALW's Phantom of the Opera movie club tagged: Phantom opera. 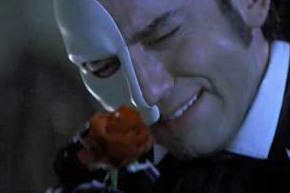 This ALW's Phantom of the Opera movie photo might contain setelan jas untuk bekerja and setelan bisnis. Raoul is so cruel, just like Christine...but she was forced to choose. And she chose wrong! I would've stayed with Erik forever!!!!!!! !